His Holiness Pope Tawadros II, 118th Pope of Alexandria and Patriarch of the See of Saint Mark issued a statement concerning the passing of Mr. Nelson Mandela, and expressed his prayers with Coptic Orthodox Christians throughout the world. His Holiness Pope Tawadros II, 118th Pope of Alexandria and Patriarch of the See of Saint Mark, along with all Coptic Orthodox Christians throughout the world, join in remembering the life and legacy of Mr. Nelson Mandela. 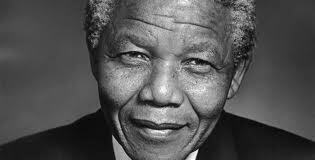 May God repose the soul of Mr. Mandela and bring comfort to his family.